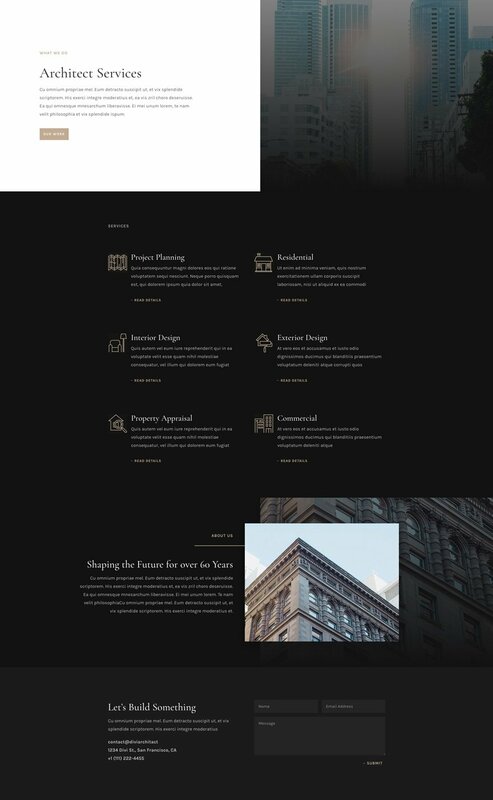 This week Kenny and his team have created an Architecture Firm Layout Pack with eight different layouts. 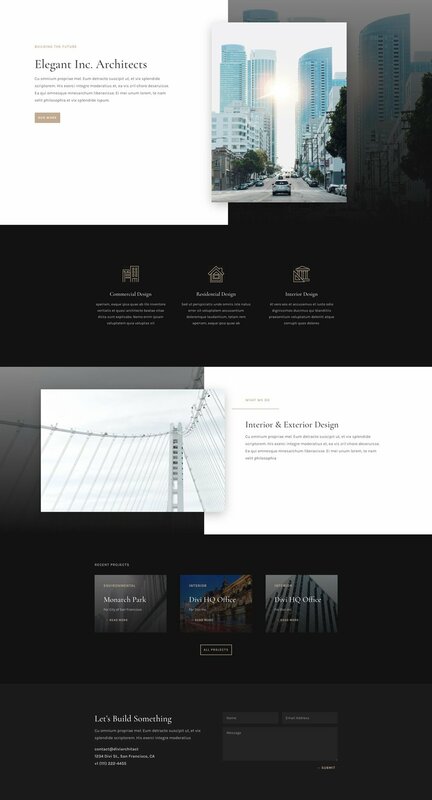 The overall style of this layout pack is a combination of sobriety, mysteriousness, and elegance. 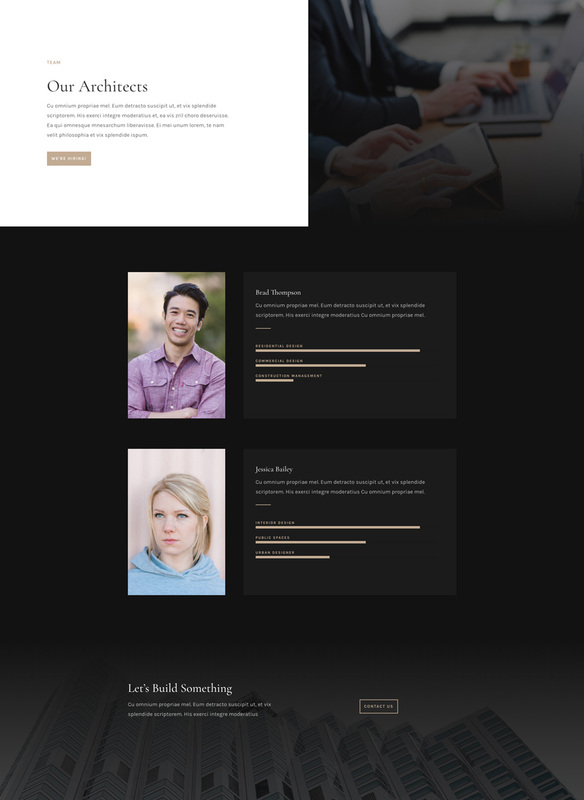 Setting up a website using this layout pack is easy, fast and allows you to still modify everything according to your own website’s needs. The Architecture Firm Layout Pack’s design represents the architecture industry perfectly. There’s a seamless style combination of sobriety, mysteriousness, and elegance. 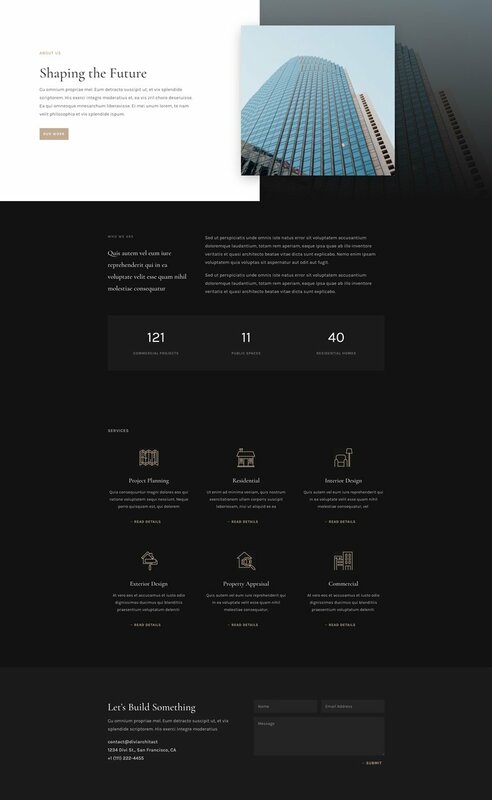 And with free high-quality images within reach, your highly-professional and visually-appealing architecture firm website will be up and running in no time. To access your new layout, simply activate the Visual Builder when editing a page and look for the “Load From Library” icon in the page settings bar (it looks like a plus symbol). Click this icon to launch the Load From Library popup. Under the Premade Layouts tab, you can easily find the new layout by scrolling through the list of layout packs. 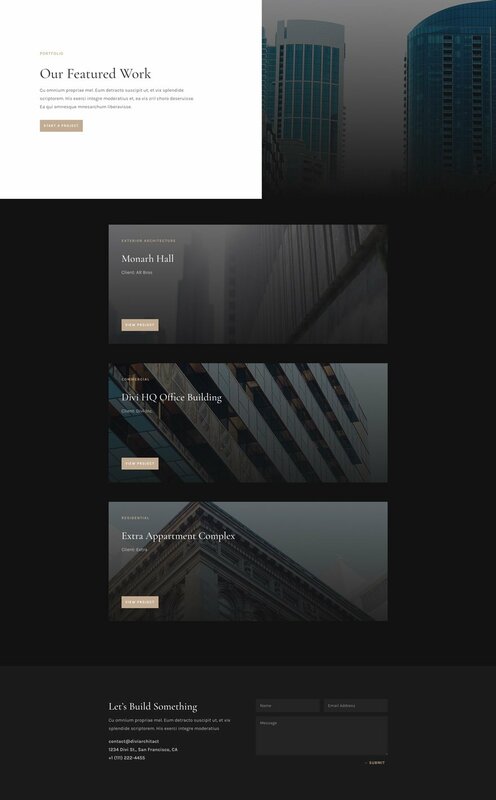 Once you find the Architecture Firm Layout Pack, click on it. You will see all the individual layouts included in the pack. Select the layout you want for to use and then click the “Use This Layout” button. We hope you enjoy this layout pack. And to help ensure that you do, we’ll be doing a live stream on our Facebook page this Tuesday at 3pm EST to create a stunning process page using Divi’s Architecture Firm Layout Pack. 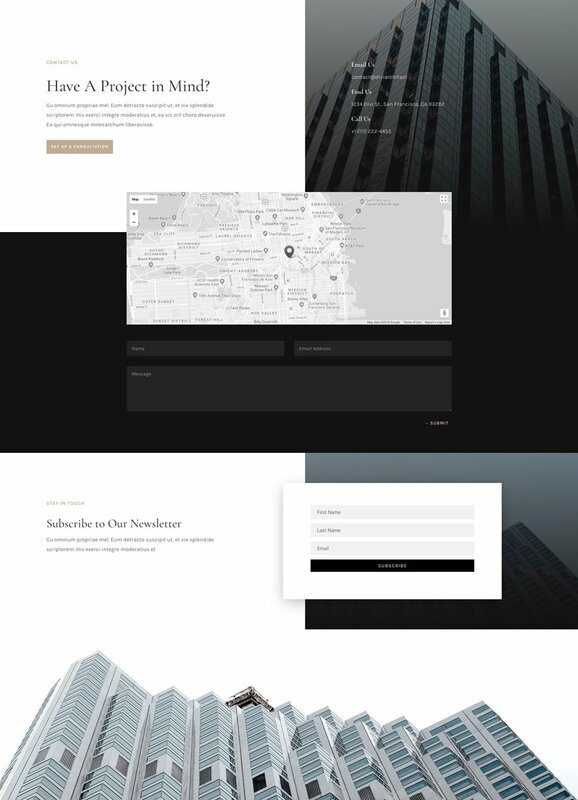 The post Get a FREE Architecture Firm Layout Pack for Divi appeared first on Elegant Themes Blog.